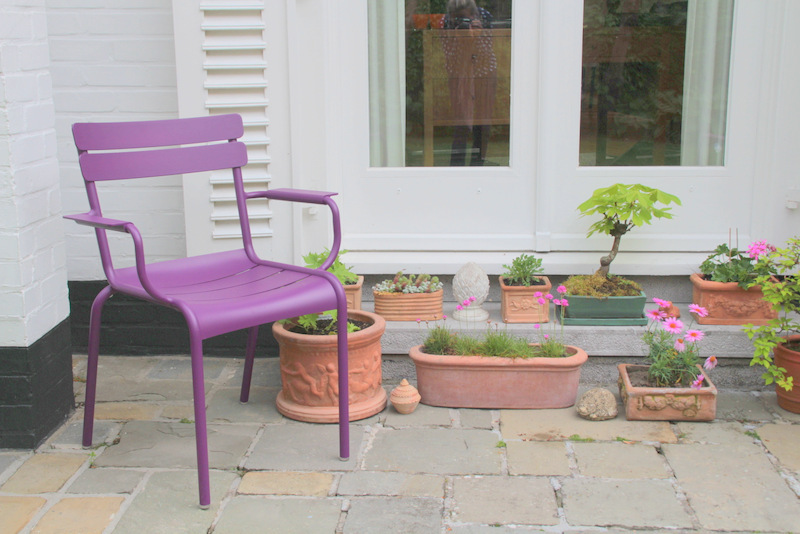 Time for another Urban Jungle Bloggers post. I had so much fun with last month’s post and especially admiring all the other images done by some seriously talented bloggers, stylists and photographers. This series is really taking off and I love being part of it. 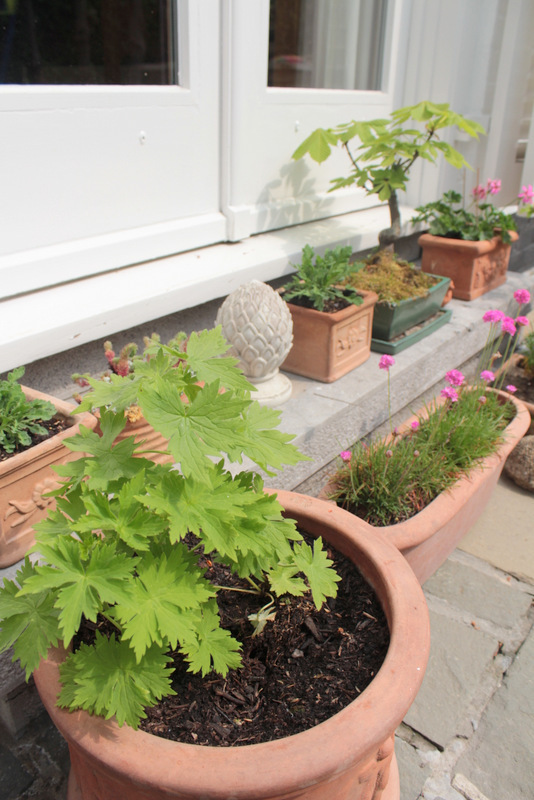 This month Judith and Igor chose the theme “Show your green balcony or windowsill”. I love the idea of having windowsills overflowing with assorted green plants in colourful pots. It gives a room so much life and colour. Unfortunately we have to keep our windowsills pretty clear due to the fact that we have to open our windows twice a day in order to close and open shutters (too many break-ins to risk leaving them open all the time). But living in gorgeous Italy makes it all worth it. The last week I was visiting my in-laws in Belgium and since they have such a beautiful garden filled with the most lovely plants of every kind I decided to do my UJB shots there. And being the great sports that they are they didn’t even mind me rearranging their whole terrace and moving plants, pots and garden furniture here and there. I lucked out in the in-law department. And since it was a warm and sunny day I decided to use an outside stoop next to a large window. I guess you could call it an outdoor windowsill? As you can see my in-laws have a great collection of Tuscan flower pots (bought at a shop close to me for a fraction of the price as in Belgium). They also have a great collection of green plants and succulents of every kind. And I have no idea what half (or more) of them are called. 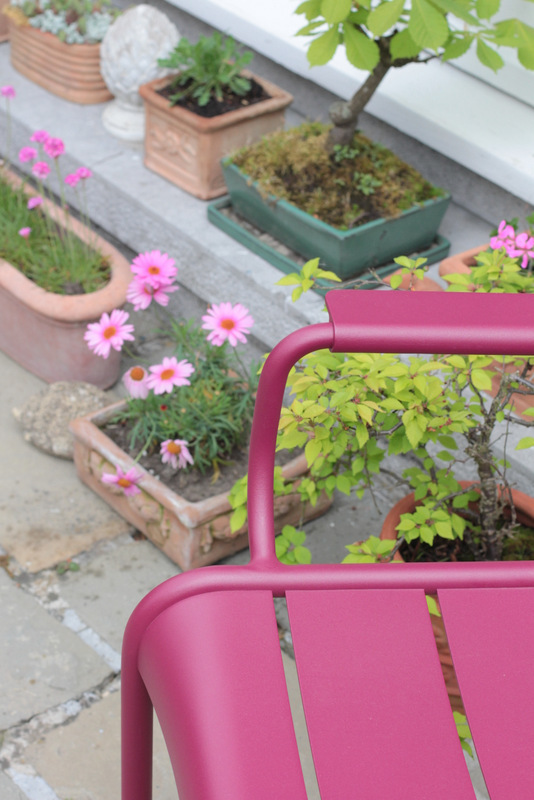 Fermob furniture in tones of purple and red match the whole garden perfectly. I couldn’t resist including a few colourful flowers. 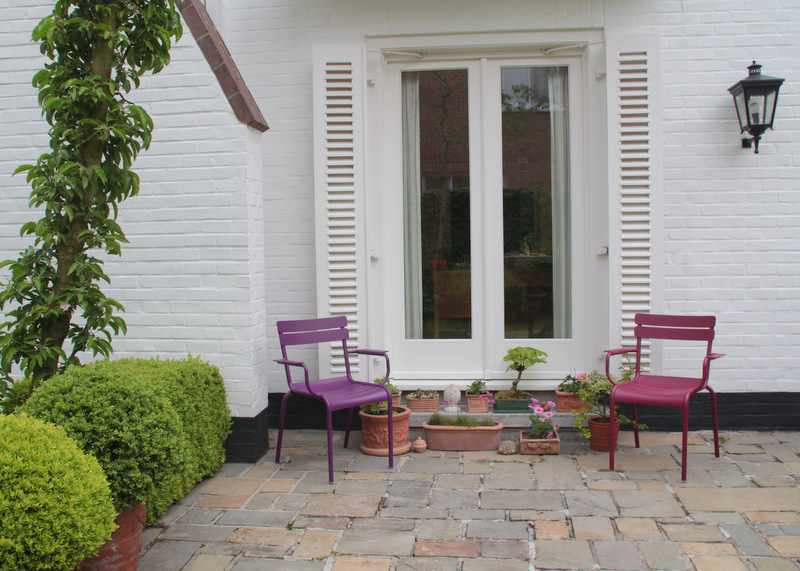 Doesn’t this look like the perfect place for an afternoon tea and book reading session? And look, I accidentally made it into one of my UJB images! Can’t wait to check out all the other Urban Jungle Bloggers posts this month. If you’re interested their FB page is overflowing with lovely greenery. Looks so lovely + peaceful! Can’t wait for spring- we’re into autumn now. Love the bright colour pink it lends to the beauty of it. 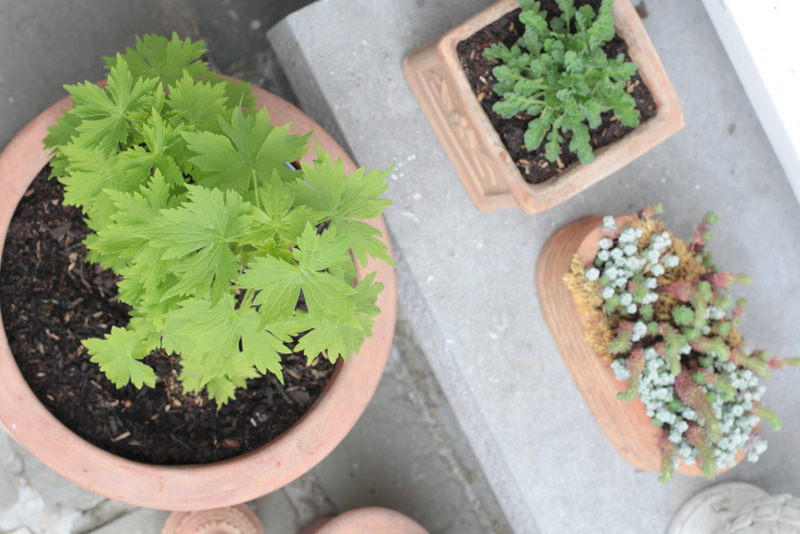 Oh I am in love with your wonderful little colourful plants and terracotta pots! So inviting to sit and relax there with a good book or magazine!! Thank you for joining our green family! What a gorgeous selection of pots, greens and flowers. I love your creative outdoor windowsill:-)) why not? I hope they might decide to leave it like that, it does look pretty! Happy weekend to you and I agree it’s really fun to join in this great series. Yes I could sit there very easily! 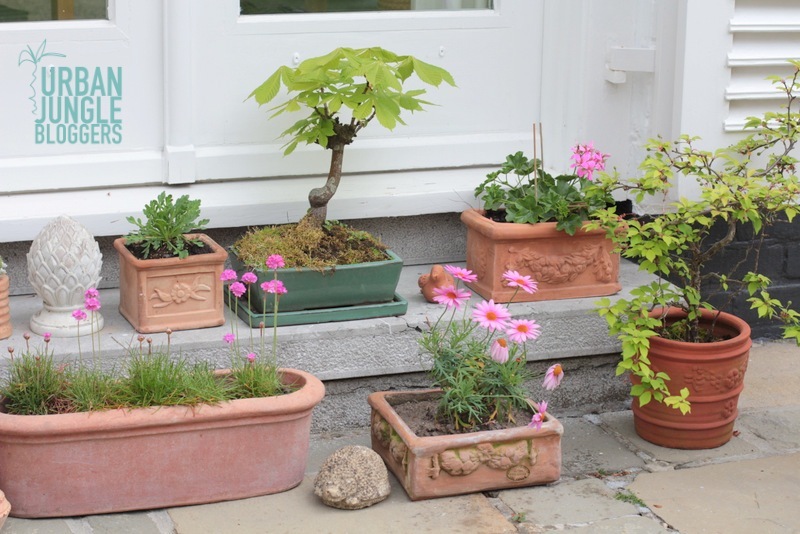 A lovely collection of chalky hued plants and pots, I’m going to find out more about Urban Jungle Bloggers, thanks..
Hi Jillian, your parents in-laws have such a lovely collection! They must have a green thumb with that bonsai plant, they’re not the easiest to look after at all.